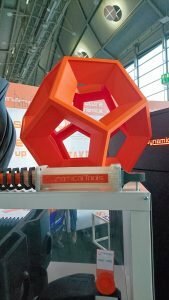 Last week, formnext was back – and the Frankfurt-based trade fair was bigger and better than ever. Over the course of four days, we saw more than 20,000 visitors walk through the formnext doors to witness the latest developments and technologies from the world of additive manufacturing. And with 470 exhibitors from industries ranging from aerospace to medical and automotive, there was sure to be something for everyone. Find out what the RP Platform team got up to at formnext – and stay tuned for our in-depth interviews featuring some of the companies that attended the event. 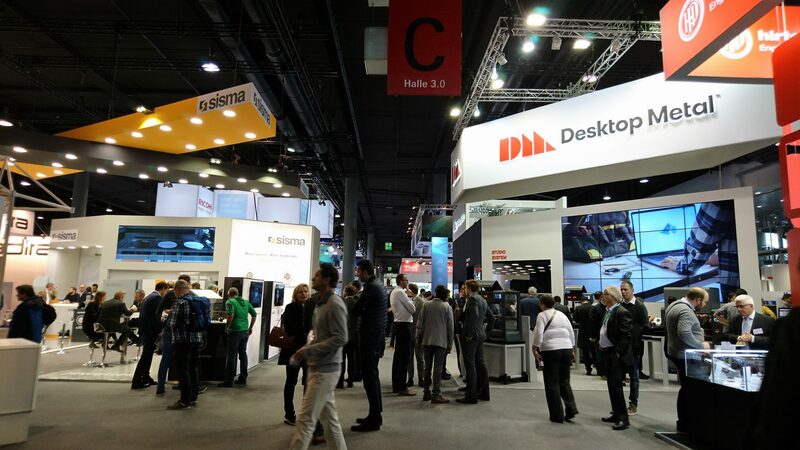 An increase in exhibitor numbers saw this year’s formnext split between Halls 3.0 and 3.1. 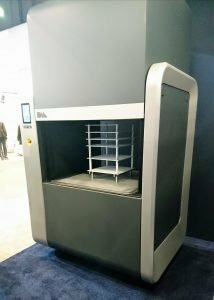 The scale of this year’s formnext was certainly something to behold. Spread over two floors, there was an impressive variety of exhibitors, from OEMs to software companies and businesses providing post-processing solutions. Furthermore, the series of talks and presentations on the tct introducing @ formnext throughout the week were a unique opportunity to hear industry perspectives on the current trends within AM and visions for the future. We were pleased to announce our participation in formnext 2017 for the second year running – and true to our expectations, it was a resounding success. Formnext provided the perfect opportunity for our team to showcase the newest features of our software platform and discuss the ways in which RP Platform can make company workflows more efficient. Moreover, it was a great chance to meet with current and future customers – we were able to answer queries relating to our software and its features – including the use of automated quotations, seamless email integration and production management tools. “Formnext is an impressive event that is unparalleled in terms of its size and expertise in the industry. 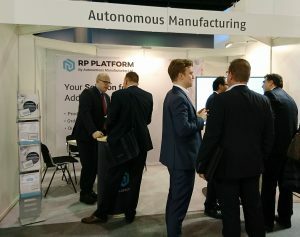 It was a great success for Autonomous Manufacturing and our brand RP Platform. Post-processing automation: the next step? 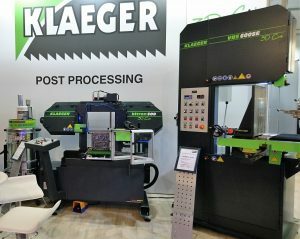 German-based company, Klaeger, which provides a range of post-processing sawing systems, including its VBS600 and bitron300. Additive Manufacturing Technologies, based in Sheffield, which showcased its patented PostPro3D technology for post-processing 3D-printed polymer parts. Stay tuned for a more in-depth feature of these companies on the RP Platform website. 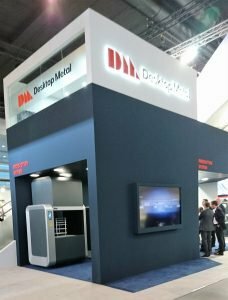 This year, Desktop Metal featured its metal 3D production printing system, which will be released in 2018. The system, which includes a printer, debinder and sintering furnace, is reportedly 100x faster than similar DMLS technologies. Using powder-based Single Pass Jetting technology, it boasts high precision and prints in both directions. With a build volume of 420x420x400, this modular metal printing system includes a double build chamber, integrated heat treatment system and storage module; it also allows for the automated removal of printed parts. 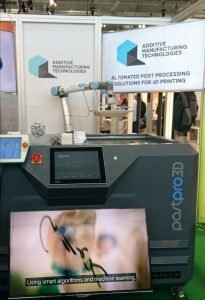 Following our inclusion of the new Sondasys printer as one of the five technologies to watch out for at formnext, it was great to see and have a demo of the machine up close and personal. 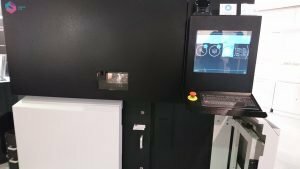 Sondasys – the company’s first SLS printer – boasts an exchangeable chamber and a user-friendly interface to monitor print progress. 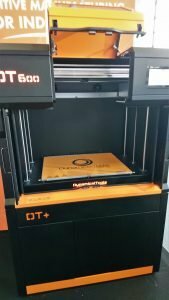 The Spanish company showcased their new FDM printer and revealed that they will be developing a new SLS machine to be released in April 2018. 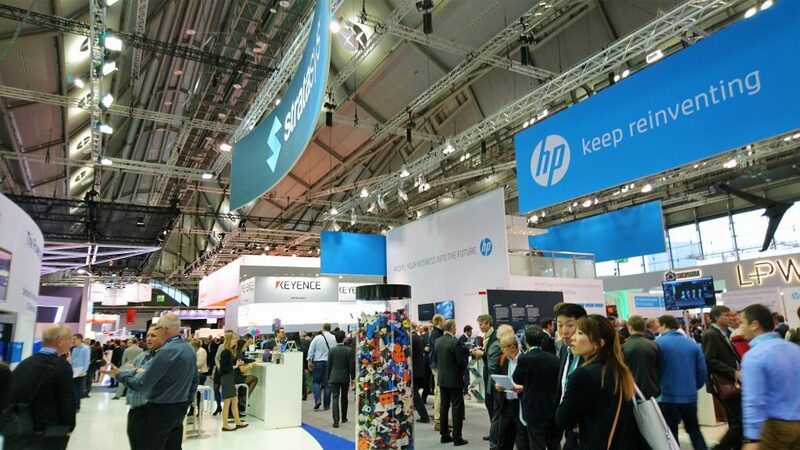 Other notable highlights of formnext include HP’s Jet Fusion 3D 4210 platform, ACEO’s presentation of their new multi-silicone printing technology and Texel’s demonstration of its innovative portal 3D scanner. Overall, formnext 2017 has proved yet again to be the key event in the additive manufacturing calendar. Showcasing the various applications of AM technologies and providing valuable network opportunities, it is an event not to be missed. For the RP Platform team, it was an honour to participate in one of the leading events in additive manufacturing, and we’re already looking forward to what next year’s formnext will bring! In the meantime, stay tuned for our spotlight series on some of the companies showcasing at formnext this year – and why not also subscribe to our newsletter for more news and events?